A fine and ancient experience at an affordable price. Le Repose is a comfortable choice of accommodation suitable for business and leisure travellers. The comfort of the guests is the hotel's priority. The exterior of the hotel stands out in the locality with curved designer structure. The rooms are well-furnished and clean with a sober combination of colors and essential amenities for your stay. The flowy curtains and wallart feels impressive and the designer lamps add to the vibrance of the room. The guests can avail various facilities like free Wi-Fi, card payment, and parking. 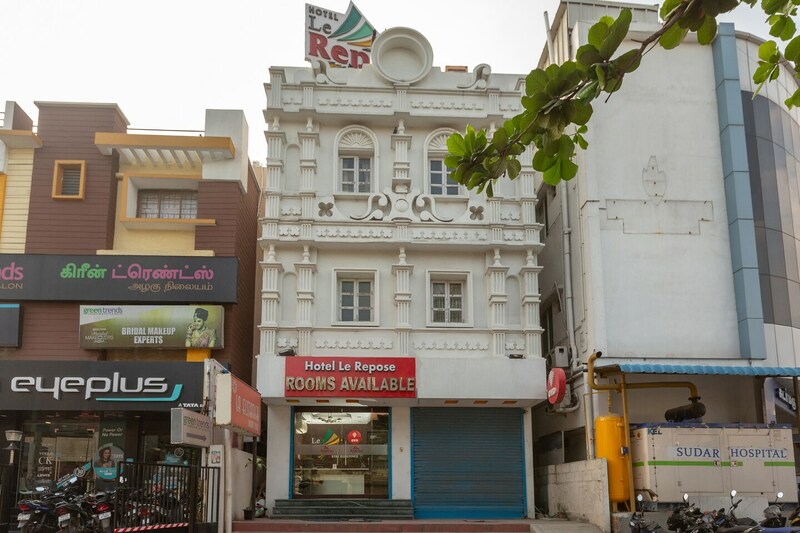 Attractions like Arulmigu Marundeeswarar Temple, Vintage Cameras Museum and Arupadai Murugan Temple are near the hotel.